Lots of potential here for this 3 bedroom home with walk up to attic which could be finished out to a 4th bedroom or den. Some updating needed. Also has large shop building which houses a garage, office with bathroom, and a mechanics pit. Large yard with plenty of room for a garden. Being sold AS IS. . A great location with easy access to SR 63 or Danville, Illinois. House has not been lived in for several years. Has 3 additional lots:861320410119000013-Lot 5BLK3 , parcel #861320410120000013- Marshfield Lot 6 BLK 3 parcel #861320410190000013 Marshfield Lot 5 BLK 3 Large shed contains the garage, office and mechanics pit.Sq Ft of garage included in shed. Directions: FROM SR 63, WEST ON 450 S, CROSS RAILROAD TRACKS, PROCEED ABOUT 2 BLOCKS. Home will be on left at edge of town. Sign. I was searching for a Property and found this listing (MLS #201850978). I would like to schedule a showing for 7234 W 450s Road Williamsport, IN 47993. Thank you! Listing provided courtesy of Ella Spring, Warren Agency Covington. I was searching for a Property and found this listing (MLS #201850978). Please send me more information regarding 7234 W 450s Road Williamsport, IN 47993. Thank you! Home for sale at 7234 W 450s Road Williamsport, IN 47993 with the MLS 201850978 on TuckerRealty.com. 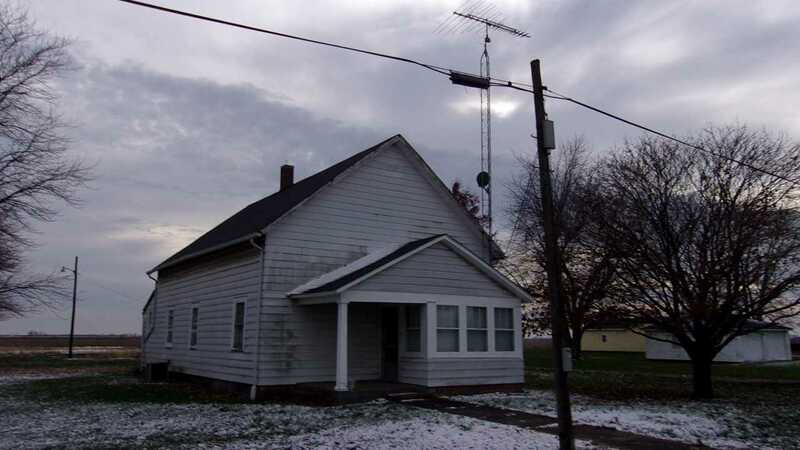 The home at 7234 W 450s Road Williamsport, IN 47993 is currently for sale and features 3 bedrooms, 1 bathrooms, 1040 sq. ft. of living space, and is listed for sale at $32,500. You can search Lafayette area properties for a home, a house, a condo, or a patio home to find real estate in Lafayette, IN. You are viewing the official Indiana Regional MLS listing details of the home for sale at 7234 W 450s Road Williamsport, IN 47993 which is MLS # 201850978. The home has been listed on this site for 156 days and is found in the neighborhood.